This collection of stories is brimming with energy, hardship, sadness, humor, and compassion. The characters’ voices and life experiences are so authentic that I was able to forget about my own life and problems for a few days. I loved how these stories explored race and class in a provocative way and through an African-American lens. Z.Z. 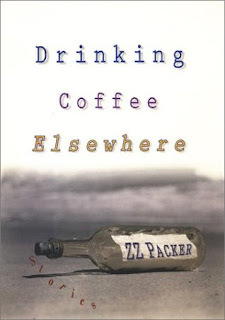 Packer captures that feeling of being an outsider so perfectly, that I couldn’t help thinking about my friend, Karen. Karen moved from Alabama to Boston in the 80’s. Tired of the increase in crime and rising rents, she and her family eventually settled in a small New Hampshire town. As much as she loved the clean air and open spaces, and despite the kindness of friends and neighbors, being one of a few African-American families in town always made them feel like outsiders. Karen and I worked at the same company and knew each other for four years. We used to have lunch together and go out for drinks after work. She wanted to attend the company Christmas party, but did not want to bring her husband, who succumbed to alcoholism after a long period of unemployment. So I offered to go with her. In my experience, company parties are stiff and boring, but it ended up being an OK time even though I would have much rather been at a dance club. After a couple of drinks, I noticed Karen seemed withdrawn. When I asked her what was wrong, she just shrugged her shoulders. A few more questions later, I learned she felt uncomfortable at the party and wanted to leave. Learning the reason for her discomfort took a lot more effort and left us both feeling frustrated. Karen admitted she was uncomfortable being the only black person at the party. People were warm and sociable and I didn’t feel she was being mistreated at all, so I couldn’t understand why she felt the way she did. Rather than explain it further, Karen asked me to attend the Black Social, a company-sponsored event for black professionals, with her the following evening. Just like the Christmas party, people were friendly, shook hands, asked about my job, and made me feel welcome. There was no reason for me to be uncomfortable, and I wasn’t. I just had this little nagging sensation of not belonging, of being different, of standing out in a crowd. Being in Karen’s shoes for one night taught me a valuable lesson. Karen died of liver cancer in 1992, but I always think of her when I’m the only white person having breakfast at Subway.